I have helped Pingala over the past +2 years with their organizational development and cultural work, and watched the amazing culture and identity here in Denmark. They are clearly a modern, near-holacratic, teal organization. This week I visited their branch in Dubai, and what follows are my reflections on the plane home. 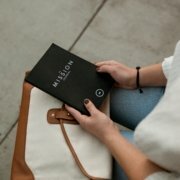 Teal organizations in Dubai?! How is that even possible and what does it take? The term “a teal organization” is coined by Frederic Laloux in his book “Reinventing Organizations”. Teal organization is the fifth stage, ranging from red, amber, orange, and green, to teal. Most classical businesses are designed and run as an orange machine. However, the ongoing and unavoidable leadership paradigm shift driven by the unprecedented changes in technology and society is nicely framed by teal, and several cases exist of teal organizations. Just see the Danish case with Pingala, an IT consultancy in Denmark, with flat organization, no leaders (yes, a CEO for legal reasons, as cultural coach, and if ultimate last-resort-actions are to be executed). Most of the future-of-work-cases are found in USA, UK, Scandinavia, and Western Europe, but they also start to pop-up in areas that are under rapid and radical development, like Mexico and China. But what happens, when you want to do it in places, that not intuitively seem obvious and fruitful for this kind of thinking? If you look at the work done by Geert Hofstede with his now six cultural dimensions, you can see why a place like Denmark is suitable for teal organizations, self-managed teams, open debate, colleague-to-colleague mentoring, transparency, and flat hierarchy: Power Distance is low. Individualism is high. Masculinity is low. I do not say, that the change is easy, not at all; I just say, that the cultural, societal, and governmental premise is in favor for it in Denmark. 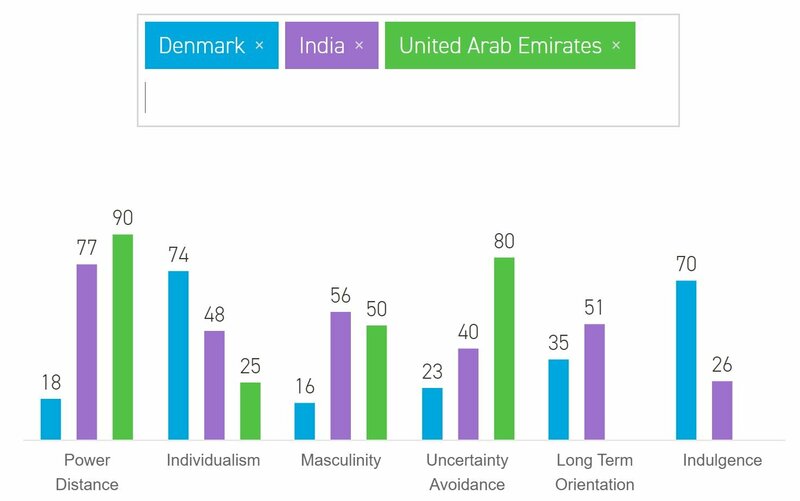 A place like Dubai, being a business hub and a cultural melting pot with people from Asia, Africa, and Europe, seems – again, referring to Hofstede – not to be the obvious place to establish and nurture a teal culture. But Pingala, the Danish IT consultancy, is doing it in Dubai. Their Dubai branch is getting to teal. When Pingala was founded in Denmark ten years ago, the idea was to create a workplace without the bureaucratic, non-productive, and expensive management layer, that other companies might have. The culture is characterized by a networked organization, a strong purpose, freedom to chose what customer engagements to work on and what internal activities to contribute to, and transparency on nearly everything. Pingala has made their culture their product. WHO they are and HOW they do stuff are the main reasons for employee attraction and retention, and for customer satisfaction. An opportunity for opening a Dubai branch appeared some 2 years ago, and Pingala rose to the challenge: If we can build a Pingala-culture in Dubai, we can do it everywhere. And it seems like they can. 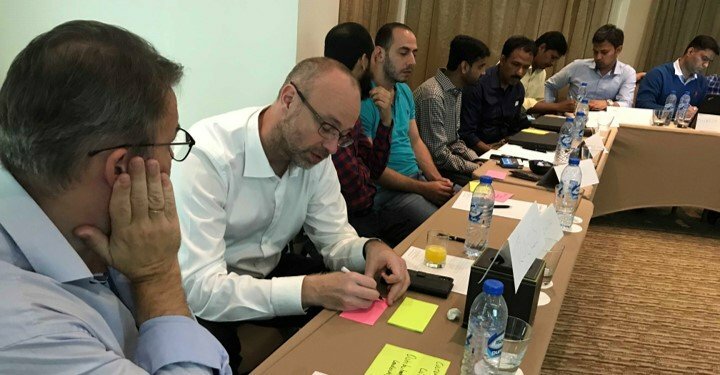 With a handful of handpicked IT consultants from India, Lebanon, and Pakistan, Pingala initiated an intense and insisting journey to create and nurture a different kind of company. This was unusual for employees and customers in Dubai. We want to create an oasis for you; a place where you feel psychological safe, and want to show up. We only hire the best colleagues in the market. We insist that the organization is flat. We measure the network yearly, and debate how to avoid hierarchy. We deliberately move tasks from management to employees, for example handling customer escalation, or colleague-to-colleague mentoring. We insist on personal leadership. Everybody can take lead on activities, projects, technical domains, and customer projects. We insist that you have freedom to choose the tasks, that you want to work on. No-one forces you to work for a customer. And we insist on transparency. The transformation has been going on for 2 years, and it sticks. Pingala Dubai is now a tribe with 17 employees, no hierarchy, and a future-of-work-approach. Do they make mistakes? Yes, it happens. But they learn from them all the time. Are they getting to a modern, teal-esque organization? Absolutely.